When you are ready to replace the window and doors in your Issaquah, WA home, it is essential that you compare all of the options that are available. You will see that there are many different products to choose from, but one specific choice will stand out from the rest: vinyl. Here at Signature Window & Door Replacement, we specialize in vinyl replacement windows and doors in Issaquah, WA and the surrounding areas. We know that there are many benefits to these products, and we will help you see why you will love having vinyl windows in your home. Since customer service is our top priority, we always work hard to ensure that you receive the best products and services that are available. Why is Vinyl Better than the Rest? Cost: There is no reason to spend a lot of money on home upgrades, especially when there are some cheaper options available. Vinyl windows are very affordable, helping you to improve the windows in your home and stick within your budget at the same time. 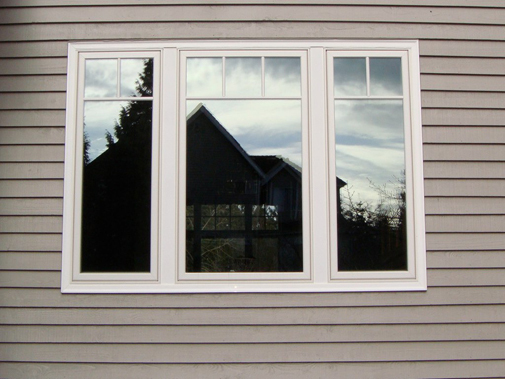 Appearance: These high quality windows will look great on your home after they are installed. Vinyl replacement windows come in a variety of colors, sizes, and designs. Customize: Did you know that you can customize your replacement windows to fit your home in the perfect way? Vinyl is very easy to customize, so that you can choose the exact types of windows that you have always dreamed about. Durability: Since you are investing money into these home upgrades, you need to ensure that you choose products that will last for many years. Vinyl offers great durability, and these products hold up well even in harsh weather conditions. Curb Appeal: When you have vinyl replacement windows installed in your Issaquah, WA home, these upgrades will have an immediate impact on the curb appeal of your home. As a result, people will have a better impression when they pull up in front of the property. Energy Usage: Vinyl replacement windows offer an effective way to improve the energy efficiency of your home. If you want to save money on your utility bills, then you need to choose vinyl. Property Value: Ongoing maintenance and repairs will help with the value of your property. By upgrading your windows, you are improving the overall quality and price of the home. As you can see, there are many reasons why you will love having vinyl replacement windows installed in your Issaquah, WA home. If you are interested in learning more about the benefits of these products, then we invite you to contact our office at Signature Window & Door Replacement. When you choose to have the windows replaced in your home, there are several things that you need to keep in mind with the scheduling. The first step is to contact our team at Signature Window & Door Replacement and we will set a time to come to your home for an in-home consultation. During this meeting, we will have the opportunity to look at the windows that need to be replaced in your home. We can make recommendations about the way the upgrades should be handled, so that you can choose the best option that fits your needs. Our team can assist with the process of choosing the right windows and doors for your home, and then we will need some time to get the materials ready for installation. Our goal is to minimize the amount of time that we spend in your home for the installation process, in order to reduce the interruption of your daily activities. When it is time to schedule the installation, we will find a day that will work for you. Then, the installation will be handed in a fast and efficient way, so that you can enjoy your replacement windows and doors right away. At Signature Window & Door Replacement, we are committed to your satisfaction, and we are always happy to answer your questions anytime. So, don’t hesitate to talk to us at any point during the planning or installation.